Cholesterol is the villain of the 20th century. In the 21st century, however, the evidence that vilifying the building-block of hormones and cell membranes has more negative than positive consequences is accumulating. The latest piece to the pro-cholesterol puzzle is a study from the Capital Medical University (Wang. 2016) in Beijing, China. A study in which the researchers tried to get to the bottom of the proven link between cholesterol and several adverse outcomes in various disesase – especially infectious ones. The authors conducted a study to supplement cholesterol, and observe the change on the test indexes and the severity of disease. Their randomized and controlled clinical trial was conducted at the infectious disease department in Beijing Friendship Hospital, Capital Medical University, Beijing, between January 2011 and December 2012. 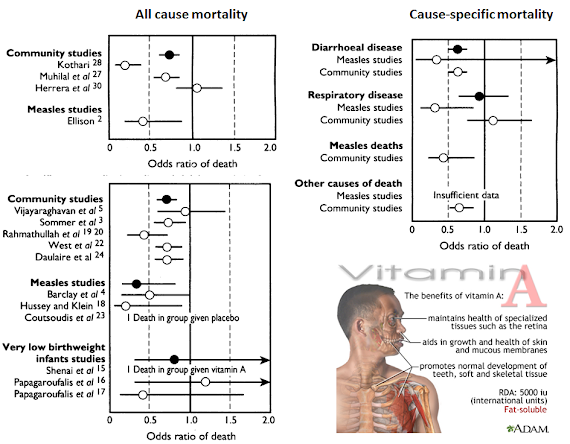 Figure 1: Effects of vitamin A on the mortality outcomes of various illnesses (Glasziou. 1993). In conjunction with the dietary standardization, which involved a protein intake standard of 1.0g/kg ideal body weight (50% high quality protein), a carbohydrate intake standard of 50-60% of the total energy intake (mostly complex carbohydrates) and a fat intake of below 30% of the predetermined optimal energy intake for each of the patients, the scientists tried to ensure that no external factors would interfere with the recovery of their hospitalized (=tightly controlled) patients. Figure 2: Effects of treatment / placebo on total cholesterol and SAPSII scores (Wang. 2016). And guess what? The scientists’ statistical analysis of the differences on indexes between after 10-day intervention in intervention group and after 10-day observation in control group showd significant differences in seven indexes, total cholesterol (TC), Body Mass Index (BMI), albumine (ALB), pre-albumin (PA), CRP, IL-6 and, most importantly, the severity of disease. “The increased concentrations of TC, ALB and PA in intervention group were more than those changes in control group. The BMI in intervention group was increased more than that in control group. The decreased concentrations of CRP and IL-6 in intervention group were more than those changes in control group. The improvement of severity of disease in intervention group was more obvious than that in control group. The improvement of nutrition status in intervention group was significant” (Wang. 2016). Now, you can argue that all that may be due to other ingredients in the egg-yolk, but let’s be honest: if infections, especially pneumonia and pulmonary infection disease, can lead to hypocholesterolemia and supplementation of cholesterol properly can improve the nutritional status, decrease the severity of disease, and improve the prognosis of disease, that’s quite a convincing piece of evidence in favor of the importance of cholesterol in our bodies’ fight against infections. 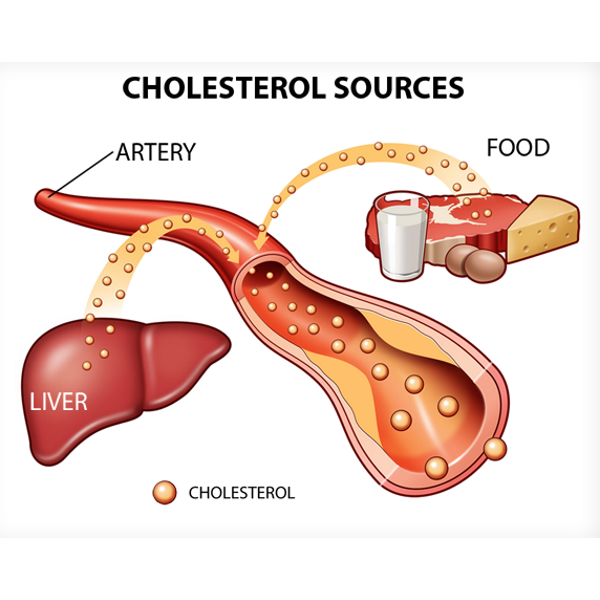 Bottom line: Yes, you can argue that cholesterol is a “vitamin” in infectious disease – a vitamin in the sense of a nutrient of which your body cannot produce enough on its own as a consequence of infections like pneumonia and pulmonary infection disease. I suspect that you will still share my doubts that increasing a patient’s cholesterol will in fact become the “new therapeutic target” in the treatment of infection diseases – and that in spite of the fact that this kind of “treatment” could, as the authors point out, be of particular importance in the elderly, where, in clinical practice, doctors obviously “have not fully realized the impact of low cholesterol level” (Wang. 2016). Rather than to “consider [… a] cholesterol treatment for [their] patients” (ibid. ), doctors will continue to administer statins and enteral nutrition solutions that are devoid of the amounts of cholesterol of which the study at hand shows that they are critical to support patients’ (and probably athletes) immune systems | Comment! Glasziou, P. P., and D. E. Mackerras. “Vitamin A supplementation in infectious diseases: a meta-analysis.” Bmj 306.6874 (1993): 366-370. Semba, Richard D. “Vitamin A, immunity, and infection.” Clinical Infectious Diseases 19.3 (1994): 489-499. Wang, Jia, and Zhong-xin Hong. “Cholesterol Supplement can Alleviate the Severity of Pulmonary Infection of Patients with Hypocholesterolemia.” Journal of Food and Nutrition Research 4.3 (2016): 131-136.